YSL Operas offer the exquisitely beautiful 1987 SAMSON ET DALILA from the Met, with Jon Vickers & Marilyn Horne; Jon Vickers' SAMSON (Handel), Met Opera 1986; the unknown and sensational 1977 ELEKTRA w. Christopher Keene Cond. Syracuse S.O. 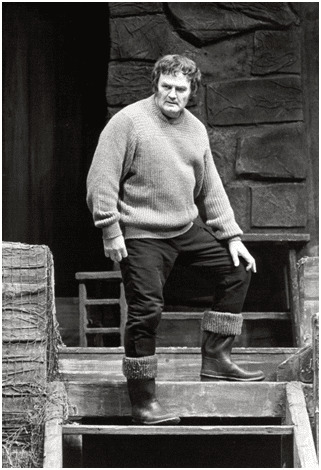 ; Tennstedt's only Met Opera excursion, the 1984 FIDELIO with Jon Vickers; Jon Vickers' inimitable PETER GRIMES, Met Opera, 1969, under Colin Davis; Ansermet's only Met Opera performances, the 1962 PELLEAS with Gedda, Moffo & London; the legendary 1951 Met MANON with Albanese, Di Stefano & Singher; the 'forgotten' Fournet WERTHER from the Met; Neil Wilson's final Met performance - LA BOHEME; the 1953 Met Opera CARMEN with Barbieri & Del Monaco, under Reiner; Eleanor Steber's 1959 Met Opera TOSCA with Bergonzi & London; LA FANCIULLA DEL WEST (Steber’s Met Opera 1966 'farewell'); DIE FLEDERMAUS (Steber's 1954 Met Opera hillarity); Regine Crespin's 1964 Met Opera LOHENGRIN with Konya & Rankin plus her 1965 Met Opera TOSCA with Konya & Merrill; Renata Scotto's 1977 Met Opera LA BOHEME with Barry Morell, Ingvar Wixell & Leona Mitchell; Scotto's legendary 1977 Met Opera MADAMA BUTTERFLY with Giacomo Aragall (under Patane); the 1982 Met Opera I VESPRI SICILIANI with Scotto, Elvira, Ochman and Raimondi; the 1952 Met Opera LA FORZA DEL DESTINO with Milanov, Tucker & Warren; the 1956 Met Opera ERNANI with Milanov, Del Monaco & Warren, conducted by Mitropoulos; the 1961 Met Opera TROVATORE with Franco Corelli & Leontyne Price, plus their 1968 Met Opera LA FORZA DEL DESTINO - both in top form; Giuseppe Taddei's 1986 Met Opera sensation as FALSTAFF, plus Taddei's next Met Opera appearance of 1988 in L'ELISIR D'AMORE with Dawn Upshaw and Vinson Cole; Martina Arroyo's 1970 AIDA at the Met; Rosa Ponselle & Sydney Rayner in the 1937 Met Opera CARMEN; LA TRAVIATA - (Zeani’s 1966 Met Opera début); OTELLO (the 1965 Met Opera farewell of Zinka Milanov, with Uzunov and MacNeil); the 1963 Met Opera ANDREA CHÉNIER with Zinka Milanov, Richard Tucker & Anselmo Colzani; the 1965 Met Opera SIMON BOCCANEGRA with MacNeil & Milanov; the sublime Haitink-conducted 2003 Boston PELLÉAS ET MÉLISANDE of Keenlyside, Hunt Lieberson & Finley; the 1965 Tanglewood LOHENGRIN with Konya, Amara, Gorr, Dooley & Hines; the 1958 Carnegie Hall ARIADNE AUF NAXOS with Eileen Farrell & Mattiwilda Dobbs; PELLÉAS ET MÉLISANDE (the legendary 1941 performance conducted by Désormière, as well as the Live Performance, 24 Nov., 1955, w.Inghelbrecht Cond. Françoise Ogéas, Jean-Paul Jeannotte, Gérard Souzay, etc. ); DIE WALKÜRE – Act One (the unforgettable 1935 recording from Vienna with Bruno Walter conducting Lotte Lehmann & Lauritz Melchior – the clearest and brightest incarnation of this fabulous performance you’ll ever hear! ); Tony Poncet in LES HUGUENOTS (from Carnegie Hall), plus his LA JUIVE, CARMEN, L’AFRICAINE & RIGOLETTO; Quesnel's COLAS ET COLINETTE with Alarie & Simoneau, the Boulez 1976 Bayreuth RING (never before released, a superior performance than that issued on video), and more operas appearing regularly!